This page contains a list of links, advice, downloadables and others resources for the following groups. Like most things, what you get out of your OA membership depends on what you put into it. With the understanding that we put our families and school/job first, great satisfaction can come from investing some time into OA service. For starters, learn about the legend of the Lenni Lenape tribe. This was explained during your Ordeal, and can be found in your OA Handbook. Understand how our guiding principles are distilled from that story, and how those filter into the ceremonies we perform. Next, attend all your Chapter meetings, where the OA program really happens. These are the foundation of your involvement. Attend Lodge events as well! We are a tight-knit group and are eager to welcome newcomers. 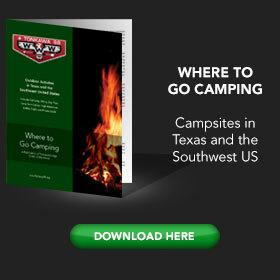 Get a few of your troop or team members to attend with you. These experiences are best when shared! Seek out the committee chairmen or advisers whose responsibilities may include your skill set. Sometimes it’s easiest to start with what you already know. Ask questions at Chapter and Lodge events. You will soon be able to start pouring yourself into the youth and adults around you and you will continue to grow in brotherhood, fellowship and friendship. Ordeal candidates are those who have been tapped out, called out, or know they have been elected, but have not yet attended Ordeal weekend. Welcome to the Order of the Arrow and to Tonkawa Lodge! Our aim is to be the premiere lodge in the nation, and we’re glad to have you along for the journey. 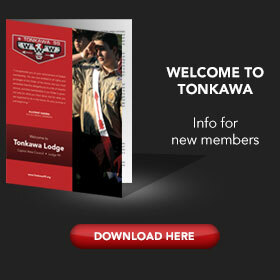 A great place to get started is our Welcome to Tonkawa guide. Beyond that, visit JumpStart, a guide for new members published by the National OA Committee. Our first and best advice is to start attending your Chapter meetings and don’t be shy about plugging in! If you have been an Arrowman for at least 10 months, you are eligible to become a Brotherhood member. 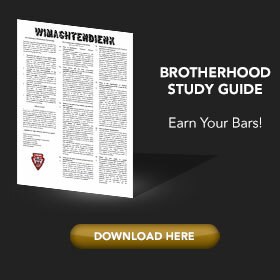 Read more on our Membership page and be sure you grab the study guide (printed or audio version) on our Brotherhood page. The password is the admonition. Scouting is a youth-led program, and that includes the Order of the Arrow. An adult’s primary role in OA is to facilitate the program for the youth. That could mean offering guidance on ceremonies, helping sew ceremony regalia, arranging service opportunities, and yes…it almost always includes chauffeuring youth to OA events. Here are some ideas to get you started. Adults can help get youth to monthly chapter meetings. If interested in serving in a leadership role, there are plenty of official and unofficial roles into which you can invest your time and talent. Start by looking over the list of Adviser positions and see if you’d like to start helping as an assistant in one of them. Been out for a while? Are you new to central Texas and want to transfer your membership to Tonkawa? No problem! Head over to our Dues page to learn how to get your membership back in good standing or transferred.